God's Word is with you. Available in more than 900 languages worldwide. I've bookmarked passages that are important to me. I've even read the whole thing through in a year thanks to the reading plans. I love how you are able to connect with friends and the Bible reading plans are awesome. This application helps me also to stay consistent in reading because it has reminders for the plans. It also gives me another way to come closer to God. Download this and read every day! Great app with a wide selection of Bibles to choose from. ... The audio Bibles are also wonderful and easy to understand. Many translations and languages available, and many that can be downloaded to read offline. Many useful features, such as the ability to make notes and bookmarks. The best Bible app ever! Multiple versions and offline reading! Great because there are many different versions and I could download multiple versions for offline reading. I'm able to listen to this app. Helps me to read the bible more. Love the search and share features and the variety of ways to share. Also like the audio versions. This is the best bible app out there. It has the word in different languages and versions for online and offline use. It has devotionals for everything you could think of. You can connect with others and ultimately learn about God and his Word. 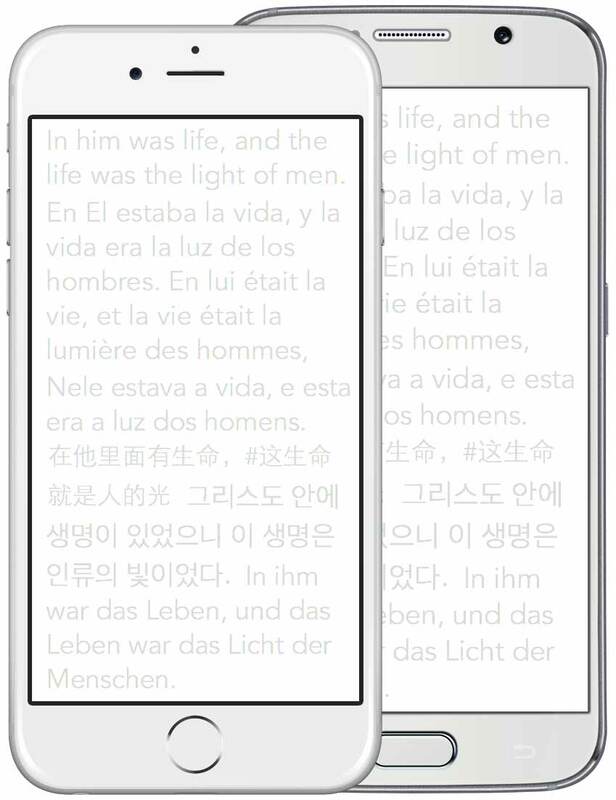 This is a great tool for studying from multiple translations. It's also convenient for listening to the bible when you're driving.